Email monetization is the practice of generating revenue through collected email addresses. Many bloggers use their email lists as a source of revenue, as well as a way to keep their subscribers up to date on their latest posts. It is a great way for bloggers to earn financial support without having to redesign website and place unsightly advertisements on their web page. Consider our top six tips below for how you can start earning money from your email list and get started today. Affiliate links are a way to earn money and promote products that you enjoy. Many businesses, big and small, will be happy to work with someone who has an influential platform to generate more leads. When you post affiliate links, you will receive a commission for every subscriber who clicks on it. This can be links to websites, products or specific sales. Keep this option in mind if you want the chance to help market a brand you love. Creating premium content is an excellent way for bloggers to earn revenue. You can utilize your email list to help promote your subscription service or additional projects by sending your readers a way to sign up for these types of services. Premium content is a great way to earn money from your email list because it is focused on the type on content subscribers want to see: yours. For a self-sufficient way of email monetization, consider charging for a premium blog subscription. You can, of course, rent or sell your subscriber list. This is the quickest way to monetize email with or without an address verification system. However, when you give up control of your email database, you are also providing an opportunity to your competitors to steal your target audience. This is important to remember. But, if you need to make a quick buck, selling an email list is the best way to do just that. Native advertising is a form of paid media in which the ad experience follows the natural form and function of the user experience in which it is placed. This is a great option for bloggers who want to maintain a specific aesthetic and theme to their emails. Native banner ads or articles featuring relevant content is a great way to utilize your email list. Another blog-focused way in which you can earn money is by promoting your own merchandise. Many bloggers create your own t-shirts or other items to sell to their subscribers. These can include your blog name, logo or even specific sayings that you tend to use. Advertising your own merchandise through your email list is the perfect way to spread the word and hopefully boost sales. Sponsored emails are another option for bloggers want the chance to feature a specific product or brand in an entire email. Depending on what deal you arrange with the brand, your email list could receive information about new products or even coupon codes for a business’s website. Keep in mind that sponsored emails should be used strategically, but when used correctly they can be a highly effective means of revenue. 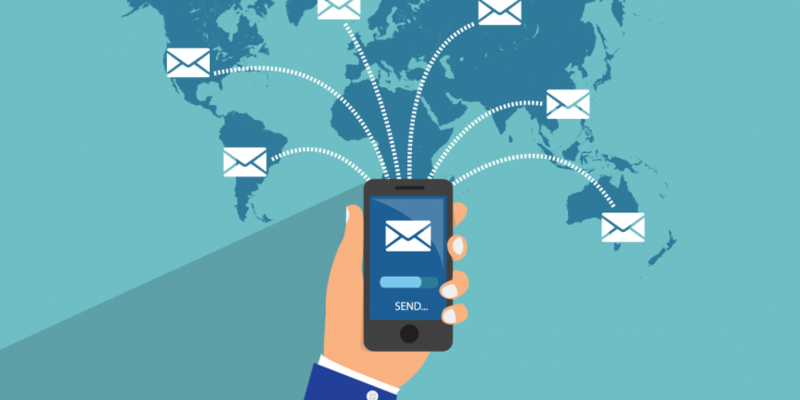 Email monetization requires careful strategy, outreach and planning. There are many options available for bloggers who want to utilize their email list to earn revenue. However, it is important to remember that it will not provide you a cash crate full of money. Have reasonable expectations. Then, follow our tips above and choose the methods that are best for you!